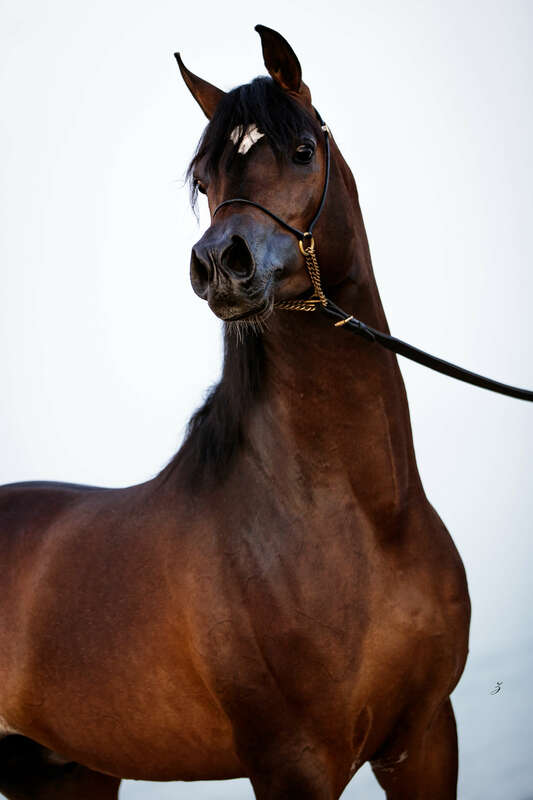 Qaysar Al Jood stands at the top of the list of Alixir offspring as his heir apparent—proudly bred and owned by Al Jood Stud. He is the living pedigree of the many champions whose blood courses through his veins, each one of them leaving their own stamp and adding to the savory genetic pool. Qaysar was the result of careful, focused planning by Mohamed Jaidah, who wanted the blood of Alixir—who Jaidah considered close to ideal—as one of Al Jood’s foundations at a time when Alixir himself was not for sale. 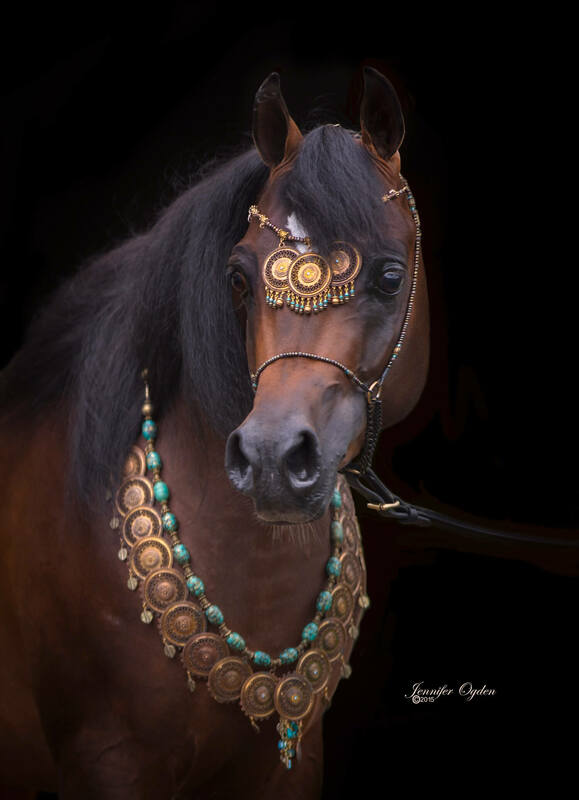 It was Jaidah’s dedication to his image of the Arabian horse that came to fruition in the form of Qaysar Al Jood. 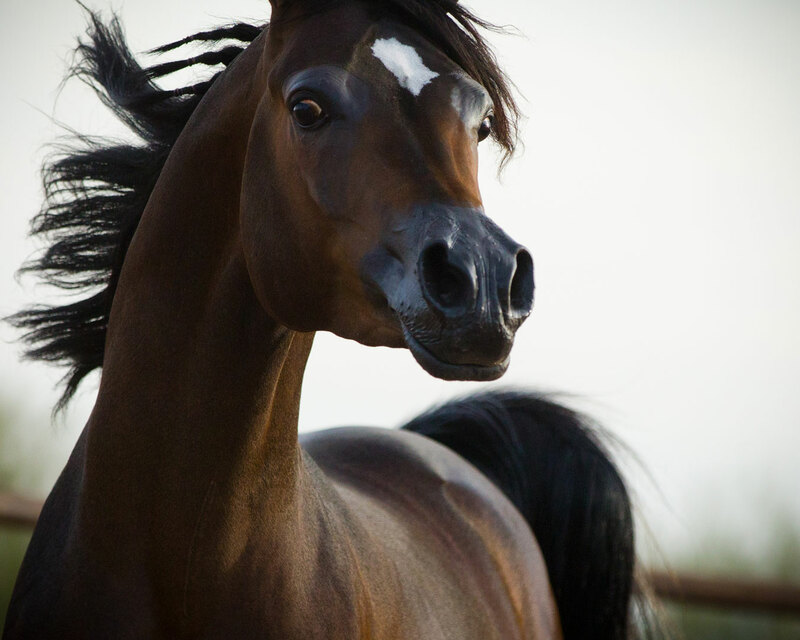 Years before acquiring Alixir, Jaidah bought an embryo transfer right to the super-exotic pure-black Thee Desperado daughter, Rhapsody in Black, intending to breed her back to his dream stallion. She was already dam of two exceptional black sons from this cross; two-time U. S. Egyptian Event Champion, Bellagio RCA, and his brother 2006 Egyptian National Junior Champion Colt Mirajh RCA, who was also the 2005 Egyptian Event Egyptian Breeders Challenge Champion and has produced multiple champions in Egypt for Al Kahira Arabians. A third full sibling, RSL Faith, would later become the dam of Al Jood star, Maraam Al Jood. 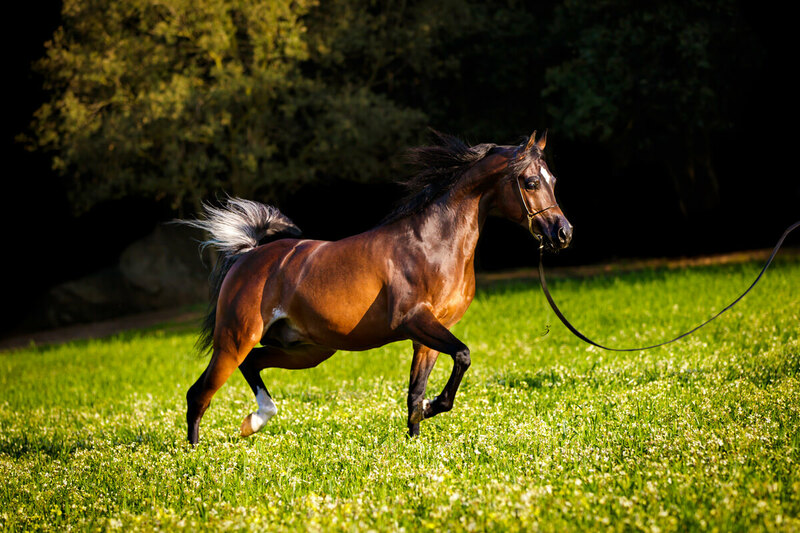 In early 2013, Rhapsody in Black produced an impressive colt—Qaysar Al Jood had arrived. Mohamed Jaidah considers Qaysar to be the embodiment of the future of the Al Jood program. 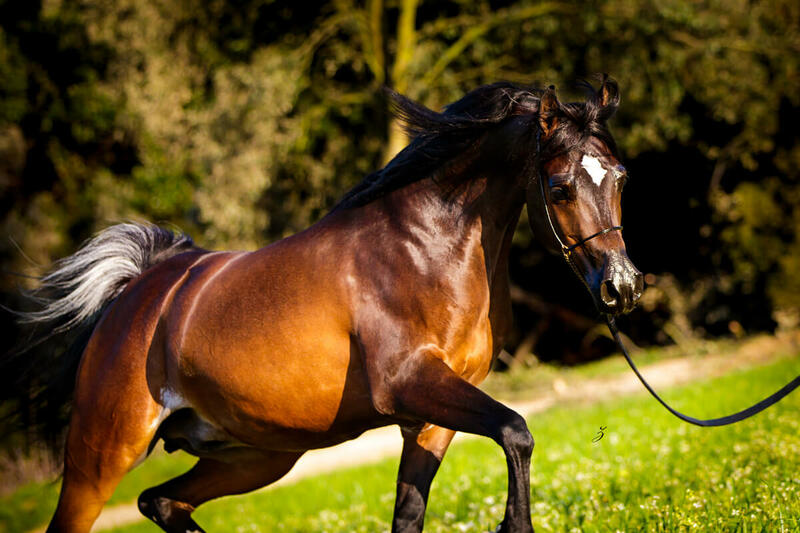 He is a gorgeous young stallion who bears the bay color of his father and the phenotype of his exquisite black mother, a next-step in the evolution of his pedigree. Qaysar is in training and standing at stud under the care of Bernat Tolrá and the staff at the Tolrá Training Center in Spain. 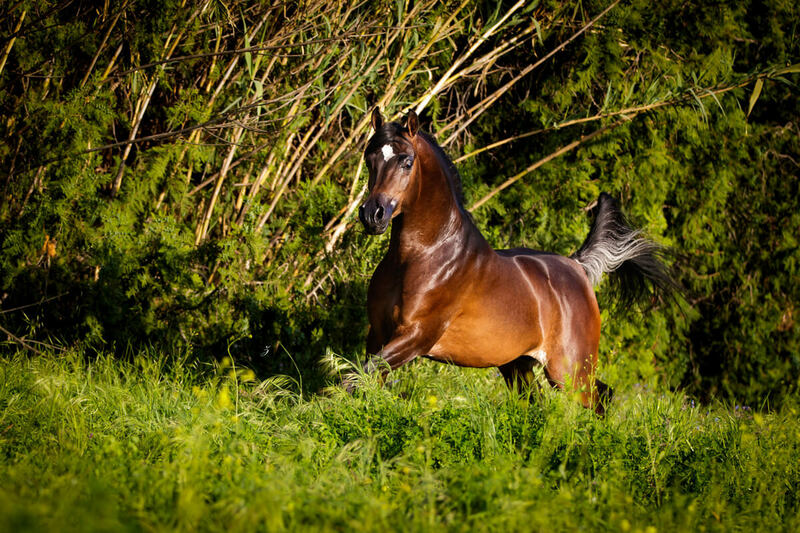 With Bernat on the lead, Qaysar Al Jood won the title of Best Straight Egyptian and Silver Champion Stallion at the 2018 Silleda International Show. Mohamed Jaidah and the Al Jood team are thrilled with Qaysar Al Jood’s first foals, which are destined to be stars in their own right. 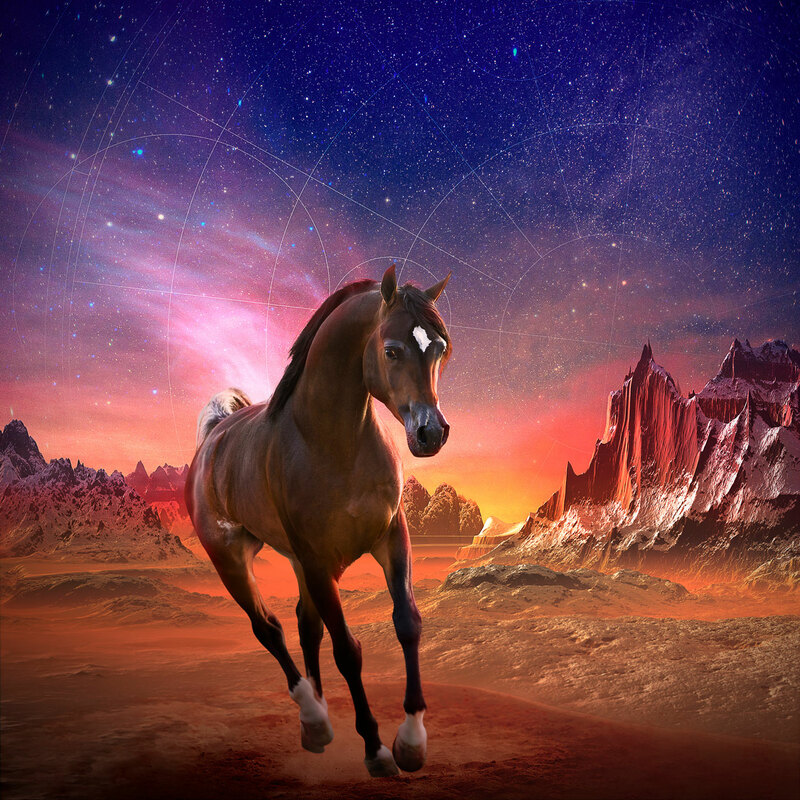 Their 2018 colt AJS Crusader is a prime example. 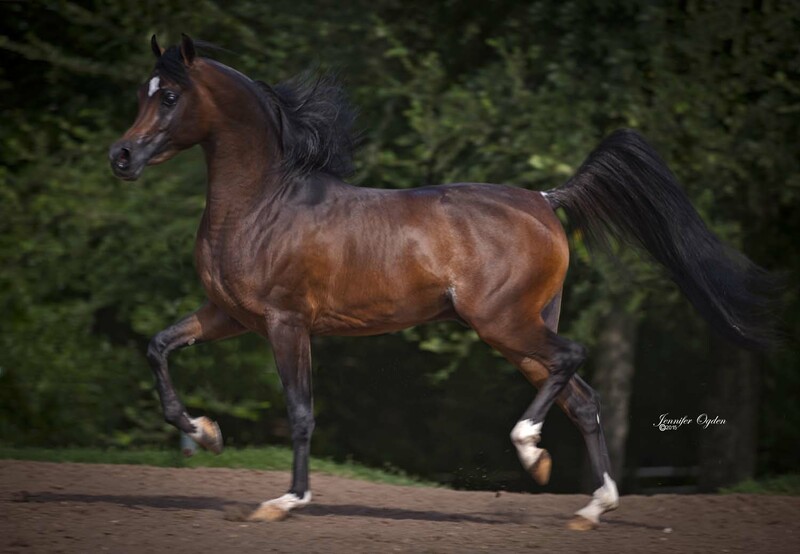 His mother is Om El Baha Dream, by the black stallion Dreamcatcher SMF who is a Thee Desperado grandson. Baha Dream’s dam Om El Bandeira is double-El Shaklan, being by his son Sharem El Sheikh and out of his daughter, Bint Estopa. Al Jood has another 2018 Qaysar colt that they find very exciting, AJS Mistral is out of Miss Ajmanya-D, making him a grandson of Gold National Champion Mare Miss Navarrone-D.
Watch for Qaysar Al Jood and Bernat Tolrá at the top shows in Europe this season! Currently standing at stud with Tolra Training Center, Spain. – 2018 Silver Champion Int. C Galician championships Spain. – 2018 top 5 Straight Egyptian World Championships Milan, Italy.